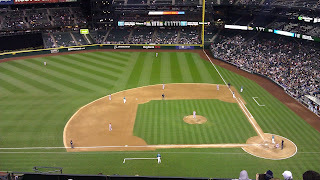 The series that proves to be the beginning of the end of the Seattle Mariners playoff hopes. The Mariners have been flirting with the Rangers for the past month getting as close to a half game behind them for first place but never overtaking them. The Mariners looked like a team that could contend when they took two out of three from the Phillies, they looked a little rough when they got swept by the Washington Nationals and downright ugly when they faced the Florida Marlins. Today as the Braves finished off a sweep of the Mariners, they were totally horrible. Starting pitching is giving up more than one run a game, fielders are making errors, hitters cannot hit anymore, especially when it counts. Now both of our catchers are out and Erik Bedard joins Gimenez on the disabled list. Quite a three game series aye? Felix Hernandez got touched up a bit today, giving up ten hits and five runs over 7 and 2/3 innings. 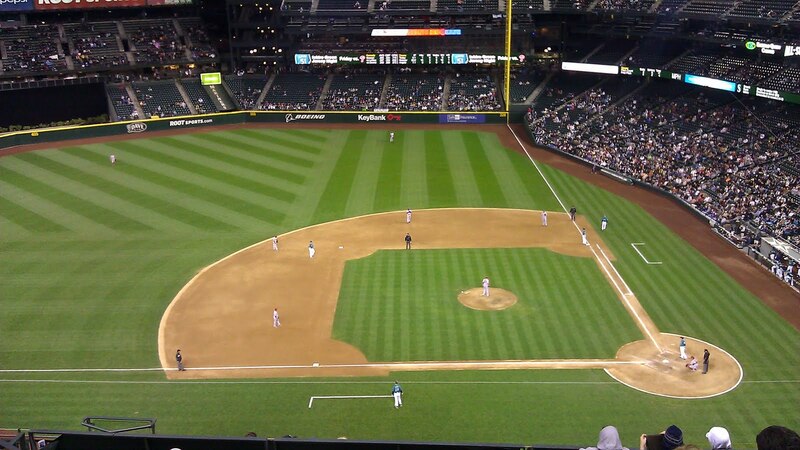 The Braves were just too much for the Mariners. Too much for our pitchers and too much for our hitters. Bright spots in today's game? Dustin Ackley continues to hit well. He went 1 for 3 with a 2 run HR off lefty, Johnny Venters in the 8th inning. Josh Bard, just called up from AAA Tacoma to replace injured Gimenez went 2 for 4 with an RBI double. Not so bright spots? Justin Smoak is struggling big time. 0 - 4, has a .243 AVG on the season. Felix is now 8 - 7 on the season and gave up 5 runs while still pitching 127 pitches for some odd reason. All I have to say after a series like this, is that I am glad that it looks like a deal won't be made to be a contender come the end of July. I really think the idea of trying to upgrade our offense is going to fall short still and I think we need to stay the course and figure out what we have still. Obviously Wedge hasn't figured out where anyone belongs yet and I don't think anyone would succeed coming into this mess. I'm really glad we have a day off tomorrow. We need to regroup.